As Coachella fast approaches this weekend, with so many celebs, influencers, bands, and media flocking to the ferris wheel fields, some startups are making big marketing pushes at the fest and related events. Crunchet, based in New York, is making a big splash at the festival with its influencer program. Crunchet is a group posting, storytelling and sharing app which lets you choose content from your phone or any of your other social media accounts to create group posts with your friends. Once you crunch (or post) you can also share the story to your other social media accounts. Your friends can ask to join your crunch, or you can invite anyone following you to join. The app is especially useful when you’re at an event with several friends all over the place, so you can combine posts and see what your friends are doing in real time. Events like concerts, weddings, marches, festivals are a good use case, which is why Crunchet is doing a promotion during Coachella music festival. 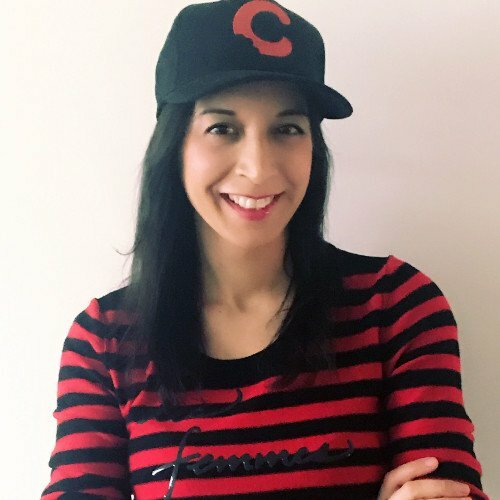 We touched based with Crunchet co-founder Denise Holzer to ask about Crunchet and her marketing campaign during Coachella weekend campaign. 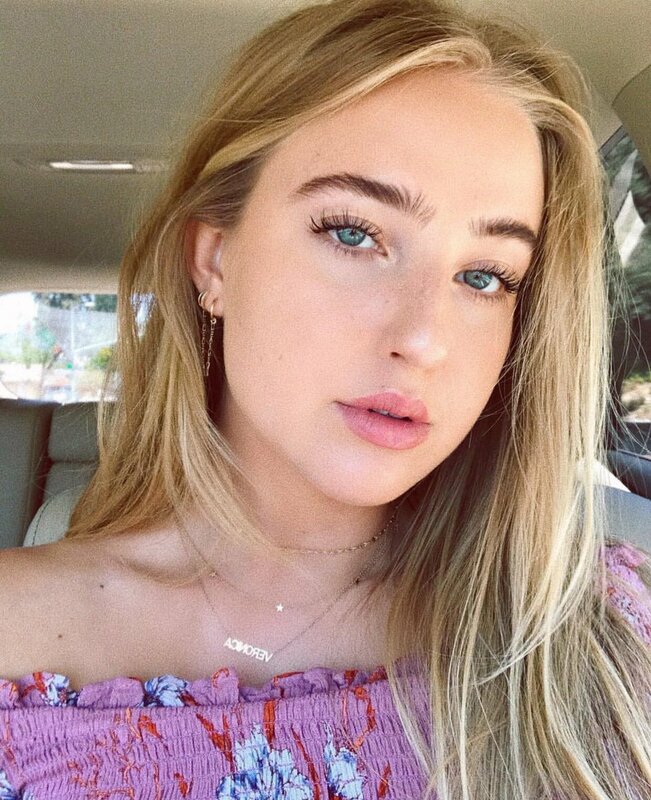 We also spoke with actress Veronica Dunne, who’s helping promote Crunchet during Coachella weekend. How did you get the idea for Crunchet? We started Crunchet because we thought it would be fun to be able to collaborate with your friends from any platform. There is no way to group post from all your social and content channels. We know how popular group chatting is but there is no way to tell stories and share experiences as a group unless you use Crunchet. It’s easy to say everyone posts on Instagram or Facebook, or you’re only using Spotify or YouTube to find music, or all your friends are now using Reddit or Twitch, but in reality our content ecosystems are unique to each and every one of us. We wanted to make it easy to bring your friends out of their social media silos and be able to collaborate around things you have in common together on one platform. On Crunchet, a crunch (or post) can include multiple users adding many pieces of content from different sources. Users can request to join another user’s post or invite anyone following them to add to the group post. You can create stories with camera roll photos and videos, Instagram & Facebook posts, tweets & re-tweets, YouTube & Twitch videos, Twitch streams and clips, Spotify songs or playlists, links from the web or Reddit and we will continue to add more! Our goal is to bridge the gap between the last decade of passive social network voyeurism and posting about yourself or a brand promotion, by making it easy to collaborate with others on making meaningful content. We wanted to make a platform that would inspire people and movements – the next generation is all about collaboration and depth. How would you describe Coachella to an attendee at a Coachella-related event in one sentence? Coachella has become the hottest festival ticket among millennials and Gen Z to experience the latest music, fashion and pop culture and share their experiences on social media. How did you pick Coachella and these influencers for the activation? Is the goal awareness and branding, or some incentivized action (download to get access to something?). Coming off the heels of the Women’s March & March for Our Lives as an Official Social Media Partner, where Crunchet become a platform for Gen Z to voice their opinions and share their voices as a group with friends, Coachella seemed like the natural next big event to connect with our Gen Zers to give them another opportunity to group post. The Crunchet influencers were selected because they are fans of Crunchet’s group storytelling because it’s the only social channel that allows you to select content you’ve already posted on other social platforms and add new content – like your favorite spotify playlist, youtube video, and share it as a group post for anyone to join the story. Additionally, Veronica Dunne is passionate about Women’s Rights, please find her inst story attached from the NYC Women’s March. We look forward to hanging out with her at Coachella where she will be crunching with her friends on Crunchet. What outcomes are you measuring; downloads, hashtags, etc? Similar to the Women’s March & March For Our Lives, we expect lots of new downloads from Gen Z when they see their friends sharing a crunch back out to their other social media channels throughout Coachella. You can still view the story even if you don’t download the app from Crunchet’s web platform but you have to download the app to join the story. Veronica Dunne, a California native, stars as the lead role of Marisa in the Disney Channel series “K.C.Undercover” opposite Disney veteran Zendaya. We asked Veronica about using Crunchet. What are your plans for Coachella? Hanging with the Crunchet crew and my friends… Taking in the acts..
Why do you like Crunchet? I love Crunchet because you can create stories with your friends! It’s really fun. And can ask to join other people’s stories you are following. You get more depth from the different things people add from different platforms. What is cool about group sharing and posting? It’s really fun to see what other people on the group crunch post. The story can turn into a conversation but with stuff we post instead of words. How will group sharing come into play at Coachella? We’re all gonna group post with each of our Coachella experiences before, during and after the weekend. It’s gonna be cool to discover what everyone is doing over the weekend and to create crunches later to tell the story. How did you use Crunchet for the Women’s March? I was honored to have spoken at the March in NYC. I created crunches with the amazing organizers of the March and invited others to join our stories. It was so inspiring to experience the March that day and Crunchet was a perfect platform recap of the day and to share with others. It was great to see so many people group posting photos & signs together in support of women & human rights, adding voters registration pages, petitions. That’s what is so unique about the app. How did you find out about Crunchet? A friend of mine was on the app and told me about the Women’s March Alliance collaboration. I really liked what Crunchet was all about.